The 300th anniversary of Prince Eugene's victory over the Ottomans outside the well preserved Danube fortress of Peterwardein, in modern Serbia. We did a feature on these campaigns and the Glasgow wargames club did a series of display games in 2006. Those figures got dusted down for a test game of the new Sharp Practice 2 rules recently. The locals in nearby Novi Sad haven't forgotten the battle with an exhibition at the City Museum covered on Serbian TV (Starts at 3:12) and here. Some pictures here and coverage of the commemoration ceremony. The editor's review of Dimitar Bechev's authoritative study of Russia's influence in the Balkans today. He sets the historical context and discusses how each of the region's states interact with Russia. He then shows how Russia uses a military, economic and cultural levers to interrupt and disrupt the West's influence. However, he dismisses to wider myths and argues that this is not a return to the Cold War. C.M Woodhouse's 'The Battle of Navarino' provides a comprehensive account of the almost accidental naval action that largely secured the independence of Greece from the Ottoman Empire. Our review of Anna Di Lellio's book on the battle. This provides an alternative perspective to the Serbian tradition using the Albanian oral tradition and other sources. The author sets out the competing narratives, together with English translations of the Albanian songs. Our review of a new Osprey covering the armies of this less well known WW2 campaign. Well illustrated, including fine colour plates by Peter Dennis. Our review of Gregory Freeman's 'The Forgotten 500'. This is the story of Operation Halyard the largest rescue of allied aircrew in WW2. Over 500 airmen were airlifted out of the hills of Nazi occupied Yugoslavia in August 1944. Our review of a new Osprey on a Balkan subject by Rafaele D'Amato covers Roman units in the Balkans and further east, from 31BC to AD195. He identifies all the units that served during this period, and with the latest archeological evidence, shows how local influences changed the equipment and clothing of these units. We review Julian Romane's military history of the Byzantine Empire 959-1025. Despite several civil wars, this was a strong period for the Empire with victories in the East and the Balkans against the Rus and the Bulgarians. The latest army to join our wargame army section are the Austrian and Hungarian troops who fought in the Hungarian Revolution of 1848-49. The models come from the Steve Barber range. Our review of Michael Kulikowski's book Rome's Gothic Wars. this is easily the most readable book on the Goths in print. The editor's review of a a new travelogue of a part of the Balkans rarely visited or written about - Thrace. Well worth a read. The latest edition of the New Mosquito (Salonika Campaign Society) features a series of articles on actions by XVI Corps in the valley. The main article covers brigade sized operations, ideal for wargamers. From a Scottish perspective, the daughter of a scout serving with 1/2 Scottish Horse is well worth a read. Arquebusier, the journal of the Pike and Shot Society has an interesting article by Conrad Cairns on fortified churches in Croatia. Places of worship that doubled up as defensive works to protect the local inhabitants. 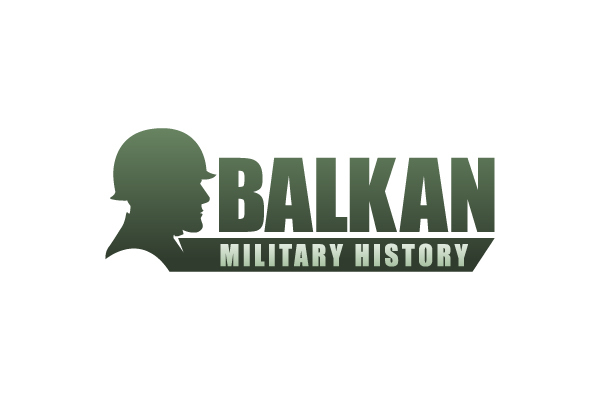 The publisher Osprey had a bit of a Balkan splurge pre-Xmas 2016 with a trilogy of publications on Balkan military subjects. With links to the Editor's reviews. Croatian Legionaries of WW2 covers Croatian troops who fough for the Axis powers. Byzantine Naval Forces 1261-1461covers the marines, rowers and ships of the period. During the First World War, the Scottish Women’s Hospitals were set up in war zones across Europe, including the Balkans. Scottish artist John Bellany (1942-2013) produced a series of oil paintings and drawings inspired by the experiences of the wounded soldiers and the nurses that cared for them. They are currently on display in an exhibition at the Scottish Parliament. David Brewer's book covers the period from Mussolini's occupation of Albania in 1939, to the end of civil war in 1949. The focus is on the occupation with chapters on the various resistance movements and support from SOE, as well as the impact of occupation on the people of Greece. The final chapters cover the civil war that started when the Germans withdrew. This is a very readable and well written study of the whole period. Recommended. ​This title covers the battle for Greece and Crete 1940-41. Each chapter has a potted history of a section of the campaign, rarely more than 4 pages. The strength of this series is the use of rare photographs from wartime archives. In this case mostly from German, Australian and British sources. This means the section on the war in Albania is a bit light, but the German invasion period is excellent. Despina Vlami’s “Trading with the Ottomans: The Levant Company in the Middle East” explores the important but little-known history of the company that also represented England diplomatically with the Ottoman Empire since 1580. This theme is also explored in Jerry Brotton's book 'This Orient isle' which shows how Elizabeth 1 developed links with the Ottoman Empire as a counterweight to Spain and the Papacy. Noel Malcolm's epic tale of two Albanian families in the sixteenth century Balkans. It gives a complex, yet fascinating insight into the period and the Balkans in particular. This is a big book, but well worth the effort. The latest supplement for Bolt Action includes some scenarios for the invasion of Greece in World War Two. Guardian review of the Ottoman Endgame or the war of the Ottoman succession, as Sean McMeekin calls it, was of real consequence. With the breaking up an empire that had stifled community hatreds, and whose absence the millions who have fled sectarian conflict in our age may rue. New book by Mike Carr covering the period when expeditions to liberate the Holy Land were superseded by those aimed at reducing the maritime power of the Turks in the Aegean. Guarding the Frontier: Ottoman Border Forts and Garrisons in Europe. This is an International History review of Mark Stein's book. I have his original thesis and didn't realise he had published a book based on it. He examines Ottoman fortresses and garrisons on the Habsburg-Ottoman frontier from 1606 to 1683. Focusing his research on two fortresses: the large fort at Kanije (modern-day Nagykanisza in western Hungary) and the smaller fort at Uyvar (Neühausel, modern-day Nové Zámky in Slovakia). A very unusual conversion to create the almost unheard of Stuart PaK 40 armoured fighting vehicle. Based upon the Stuart M3A3 it was used by the Yugoslav 1st Tank Brigade in the summer of 1944. At least one had its turret removed and a captured German 7.5cm PaK 40 anti-tank gun put in its place. Jacob Lotz shows how to convert this from the Warlord Miniatures range in 28mm. This book by John Carr, primarily covers the Italian invasion of Greece that started in October 1940. The author has drawn heavily on Greek sources for this book, both from the diaries of front line soldiers as well as the war diaries of Prince Peter, who served on the General Staff and as liaison with the British. It covers the war on the ground as well as in the air and at sea. It is very well written, a real page turner. A detailed history of motor vehicles and armoured fighting vehicles in the Bulgarian Army from 1936, during the last years of peace, until the end of the Second World War in 1945. This book is a result of the author's years of study in the Bulgarian Central Military Archive. Such a detailed study on this topic has not appeared before, and the author's work is unlikely to be superseded. New Osprey style book on the Long Turkish War 1593 to 1606. Some very nice 28mm Greek War of Independence figures in 28mm from Steve Barber models. This is the story of a Montenegrin family from the end of the nineteenth century to the fall of Milosevic. Told by the author, it is an amazing family saga that takes the reader from a small village in the mountains of Montenegro and the battles with the Ottoman Empire, the Austrian occupation in WW1, through the turbulent inter war years and the partisan warfare of WW2. The family moves to Kosovo and then back to Cetinje as WW2 erupts. It tells the story of a fairly ordinary family and how the dramatic events of the last century impacted on them. Strongly recommended. This is a very detailed account of the KLA from its post war origins fighting against Tito, to the recent conflict and the achievement of a separate state, well sort of. The KLA was never the best equipped guerrilla force and struggled for most of its existence against the well equipped Yugoslav and then Serbian army and police units. The 'revolution' in Albania gave them access to assault rifles in large numbers, but not the high explosive they needed to interdict the main road routes used by their opponents. The NATO intervention gave them an air force, but I hadn't appreciated how ineffective this was in Kosova. It was the attack on Serbian targets that forced an end to the conflict and rectified the Serbian ethnic cleansing. This is not a book for the general reader, but the book for anyone interested in this conflict. The author gives the background to the recruitment of Muslims into the Waffen SS. It may seem a strange mix given that racism underpinned Nazi ideology, but their racial theorists managed to justify it - just. In reality, as the war progressed it was more a case of needs must. For the Muslim volunteers it was also largely a question of 'my enemies enemy'. Trigg takes the reader through the history of a wide range of units. Some small and short lived, but others substantial with credible fighting records. Probably the best known is the Bosnian 13th SS Mountain Division 'Handschar'. Most of their recruits joined up simply as a means of defending their villages from the Ustase on one side and the Chetniks on the other. There is a more detailed history of this division written and lavishly illustrated by George Lepre. Few of these volunteers survived the war. Those who did, ended up being executed or sent to Stalin's gulags. This is not an edifying tale or one with a happy ending. However, its a valuable piece of research well told. This is a history of German (or more often Austrian) counter insurgency operations in Yugoslavia during World War Two. It draws upon lower level officers experiences and makes a link between these officers and their Austro-Hungarian army experience during the First World War. It is often forgotten that these operations were on a massive scale involving several divisions of troops as Tito's partisans gradually built up support and military strength, despite the inter ethnic conflict. The author gives us an historical overview before looking at the main divisions that fought in Yugoslavia and how they tackled the insurgency in their slightly different ways. The Knight's Move (Operation Rösselsprung) was a combined airborne and ground assault by the Germans on Tito’s headquarters at the Bosnian town of Drvar in May 1944. Operation Rösselsprung involved the 500th SS Parachute Battalion (Captain Rybka) making an air drop on the town while several ground force columns (XV Mountain Corps) converged on Drvar, supported by the Luftwaffe. Faulty intelligence meant the paras attacked the town rather than the nearby cave that housed Tito's HQ. By the time they realised the error, partisan units arrived to make the attack a costly failure. Tito escaped before the ground troops could close the trap. David Greentree has written a very good history of the operation for Osprey in its Raid series. As you would expect from Osprey, it includes many photies and several excellent colour maps. This is a military history of the Russo-Turkish War 1877-78, one of the most interesting Balkan conflicts of the 19th Century. An added pleasure is that it includes several photos of mine, taken at the battlefields today. There is only one word to describe this book, magisterial. This is the first military history of the conflict in English for over a century and it has everything you would expect. A detailed text covering the war on land and sea, coverage of the major and minor battles, together with all the context you need. Plus, something modern historians sometimes miss, lots of orbats. It also has lots of period illustrations (nearly 300) and maps.